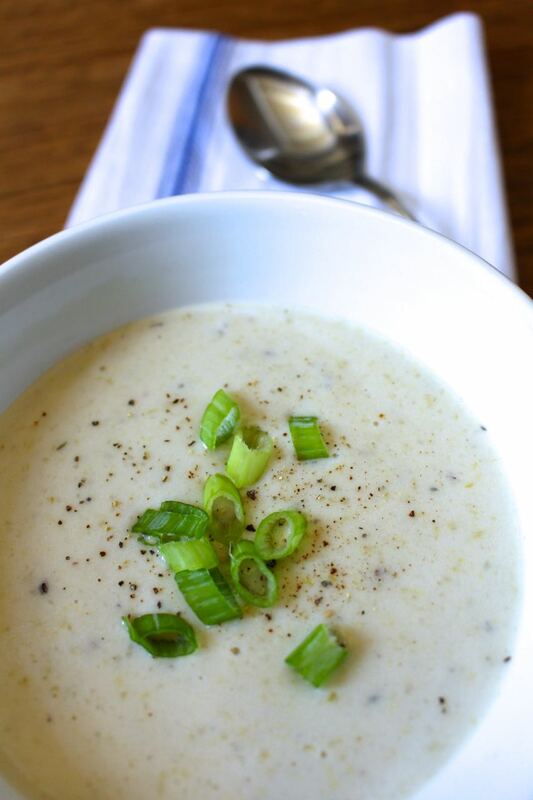 Hey y’all…When the cooler weather appears, nothing is more comforting than a warm bowl of soup. Truth be told, I love to eat soup year round. There is something so satisfying and comforting about soup. There are endless recipes for a variety of soups. Honey Bee has been known to say “But it’s too hot for soup” and I challenge by saying “You eat hot food for supper every night”. In my mind there is no difference. 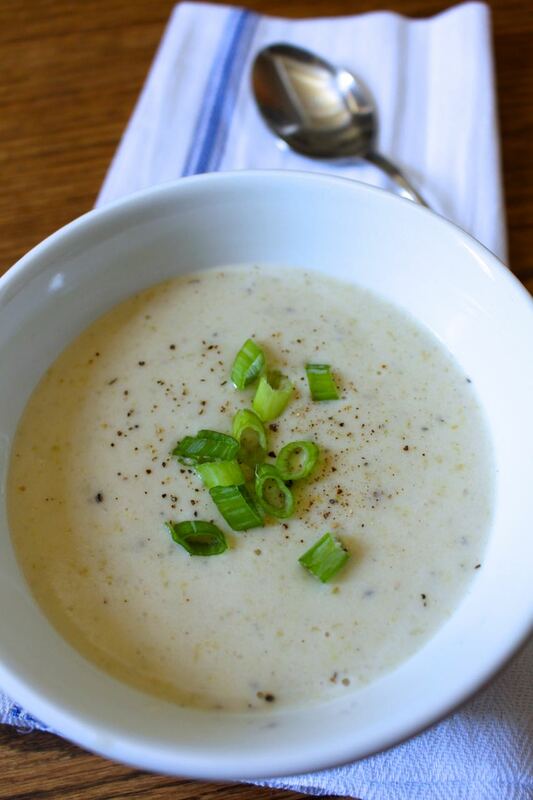 This potato leek soup is a spin on the classic recipe, and so easy to make! I have created a more healthy version by omitting heavy cream and butter. You don’t need any cream to make this soup creamy. 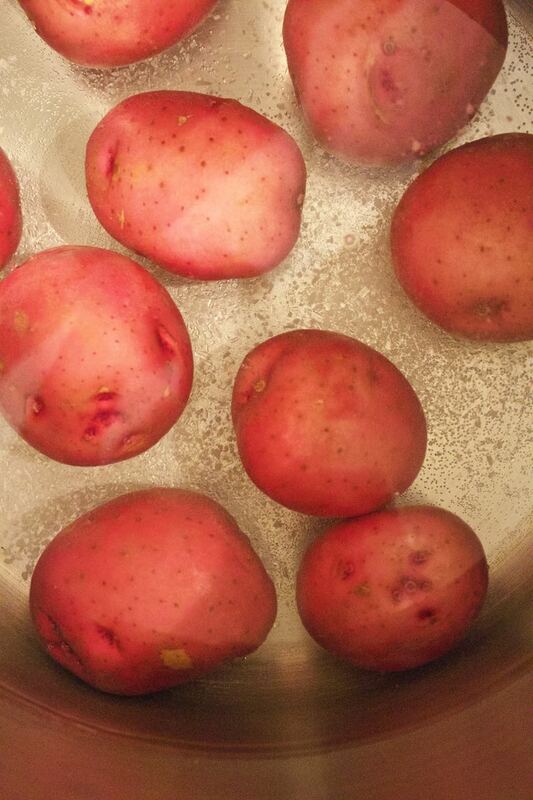 2 1/2 pounds Red Bliss potatoes - I leave the skins on these small potatoes. After they boil, the skins easily peel off. Boil potatoes with skins on - approximately 20 minutes. The skins will peel easily after they are cooked. Put the vegetable stock, potatoes, leeks, celery, bay leaf and thyme in a large pot and sprinkle with salt and pepper. 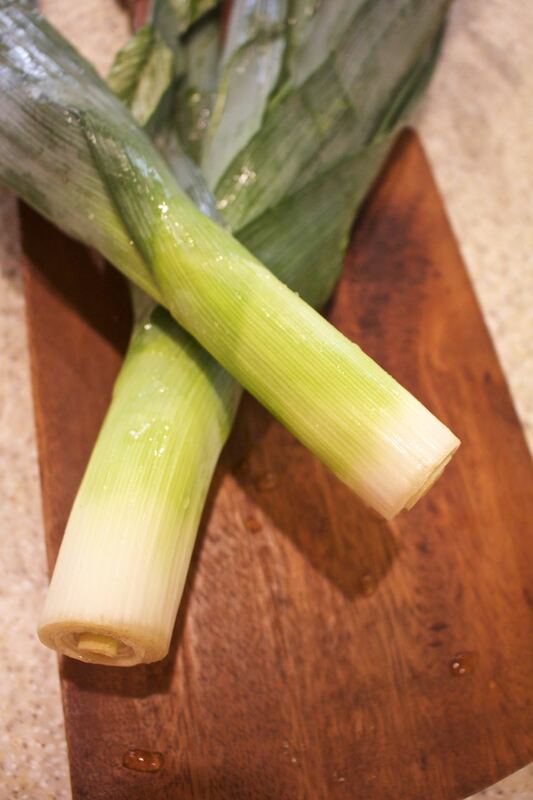 Boil until the celery and leeks are soft - approximately 10 minutes. Remove the bay leaf. Leave the soup mixture in the pot.Using an immersion blender (or in batches in a blender or food processor), blend the soup until smooth. Slowly add the fat-free milk; and simmer until the soup has thickened, about 20 minutes. BLENDING HOT LIQUIDS: Be extremely cautious! 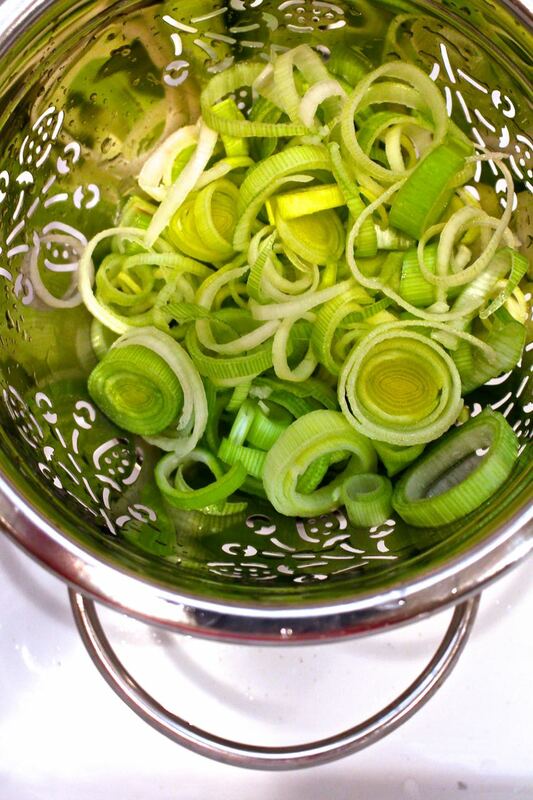 Be sure to wash the sliced leeks again and again. 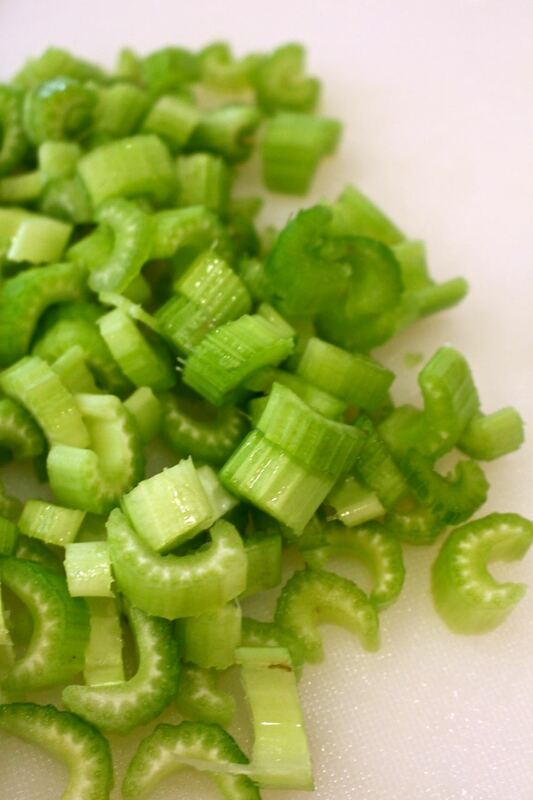 You only need to rough-chop the celery. 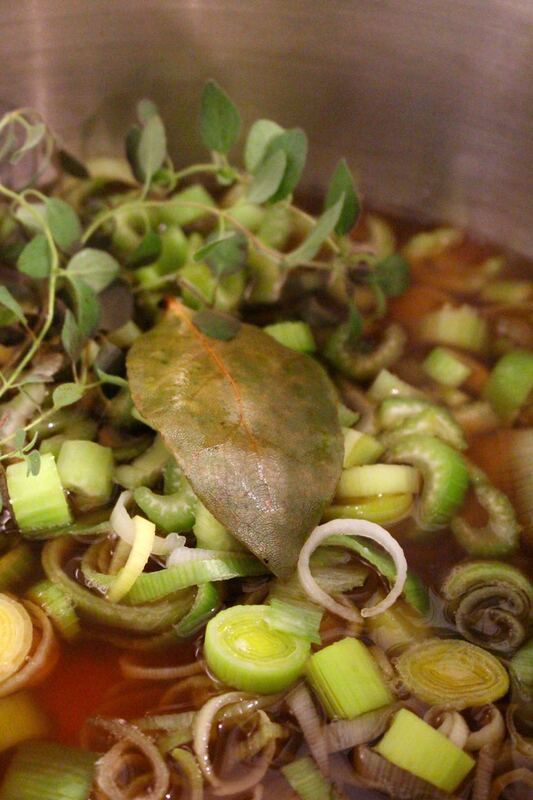 Fresh herbs in the stock pot make for a better tasting soup. I use the immersion blender right in the stock pot. This makes for less clean-up later. Be very careful as the hot liquid may spatter. This soup is delicious, comforting and satisfying. It is a meal enough on its own or you can pair with a favorite salad. I prefer to make a double batch and freeze the extra to make for easier meal planning. I hope you give this wonderful soup a try this Fall and Winter. You won’t be sorry! You are so welcome CoCo! 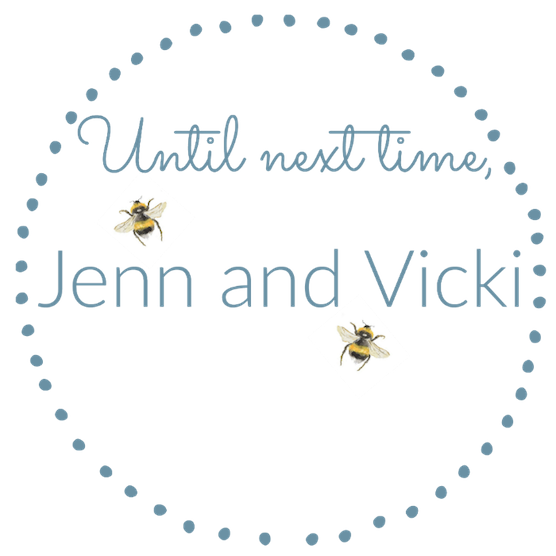 On our healthy journey it is important to makeover some of our favorite recipes. With this version we don’t miss any of the “bad stuff” . So glad Soup Season is here! This looks delicious! Bring on the cold weather, I’ll be ready with this recipe. (Don’t you love your immersion blender? I use mine a lot. Who knew it would be so handy?!). 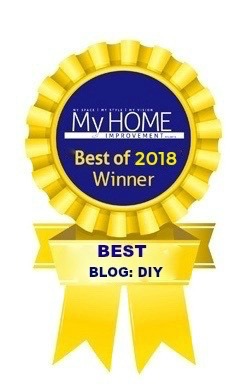 Thanks for sharing your delicious recipes!! 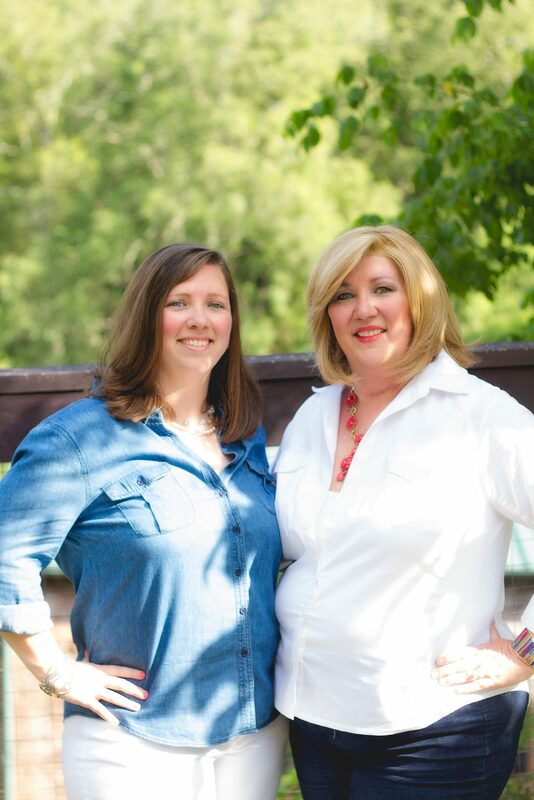 Hey Angie – We love our immersion blenders! Especially the easy clean-up. 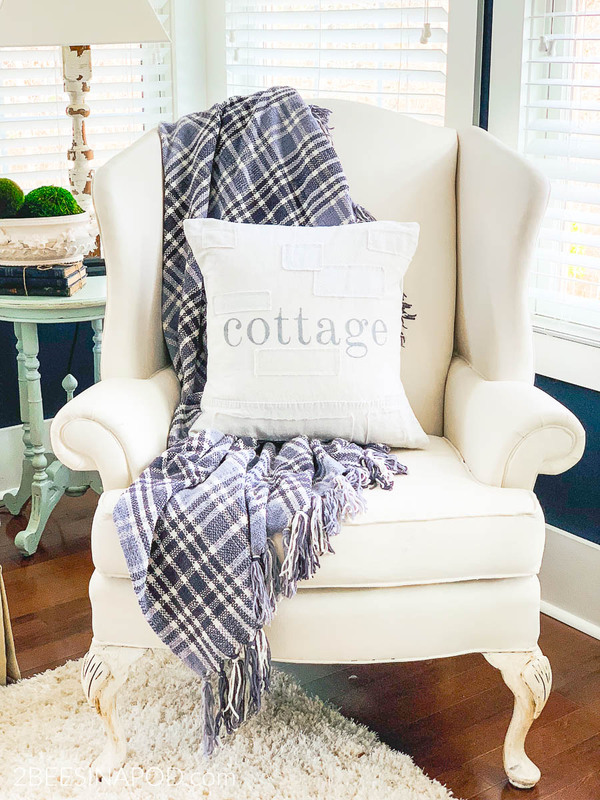 Our weather has finally turned cooler so we are sure that yours has too! Love soups and chilis at this time of year! 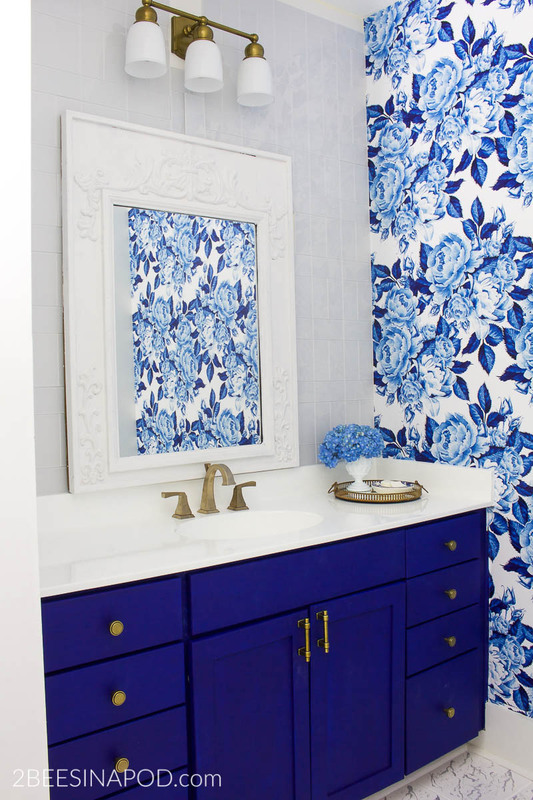 Let us know what you think if you make this! Hi Lisa – we couldn’t agree more! Soup is definitely a go-to meal for us. Plus, we like to make double batches and freeze the extra to make mealtime even easier! 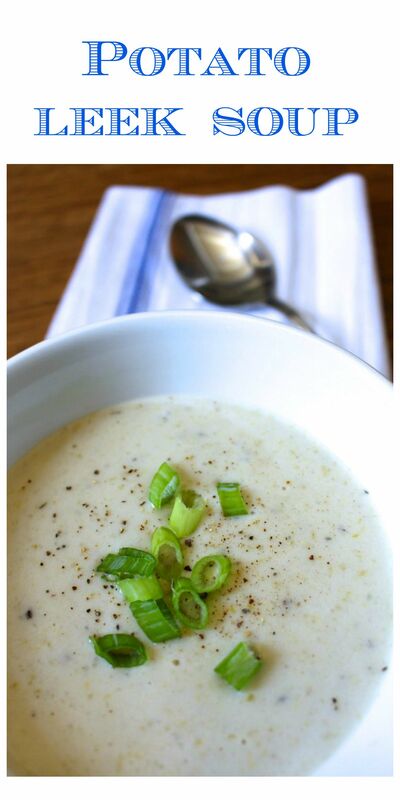 I’m pinning and making this soup! 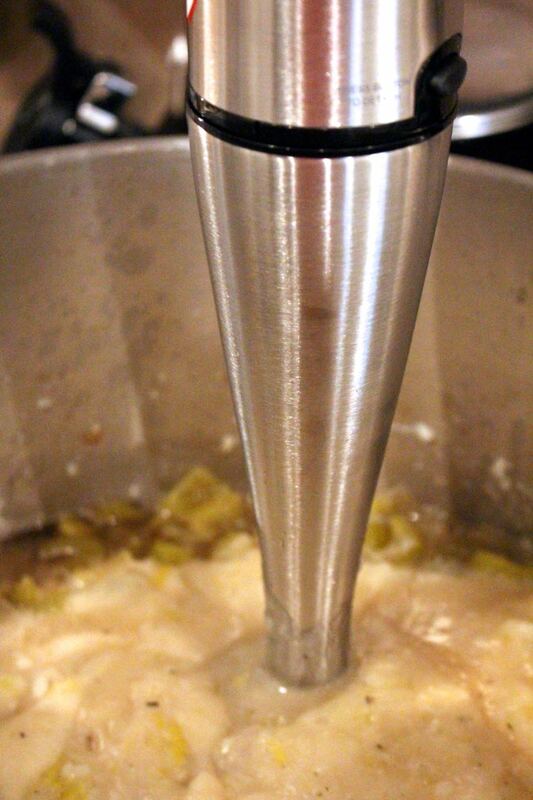 I love my immersion blender and I think that’s why I make a lot of soups since I got one. Thanks for sharing. 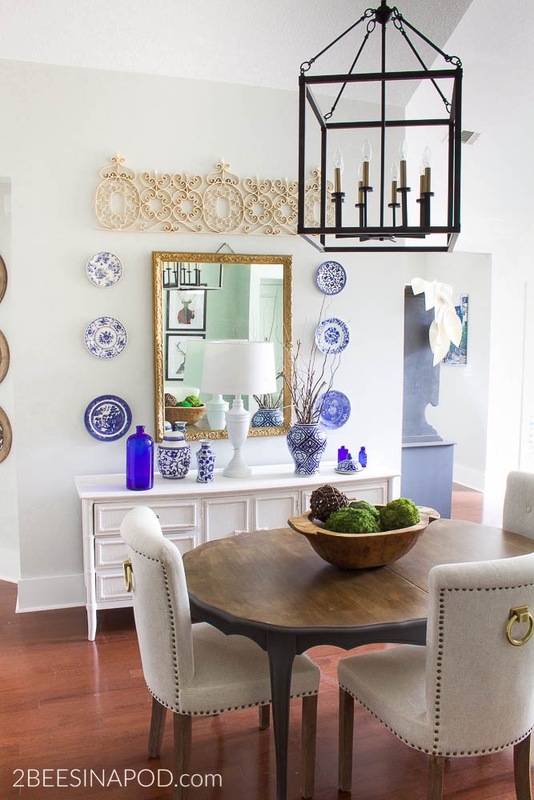 mary beth at MBZ Interiors recently posted…I’m Guest Blogging in Chrissy’s kitchen! Hey Mary Beth! We are so glad that you are going to make this soup. we can’t wait to hear what you think. 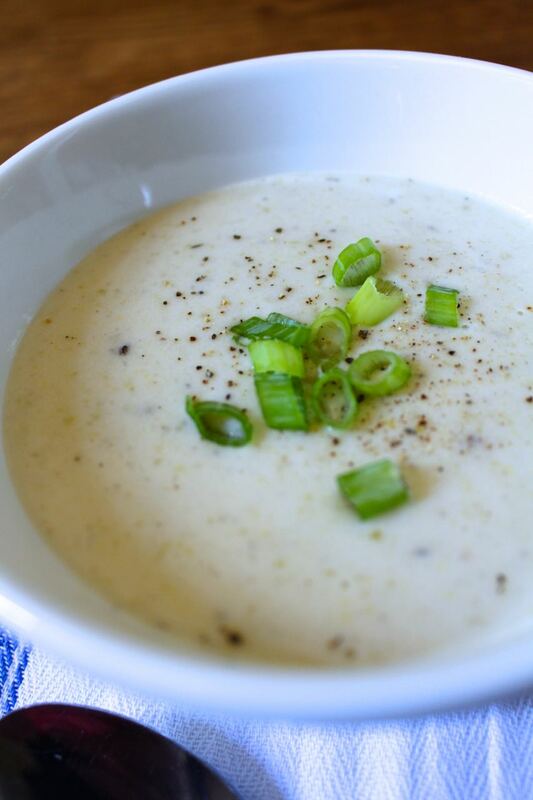 The immersion blender has definitely made our lives a lot easier, especially for creamy soups like this. Thanks for your sweet comment!